Samantha and Maria are now available! 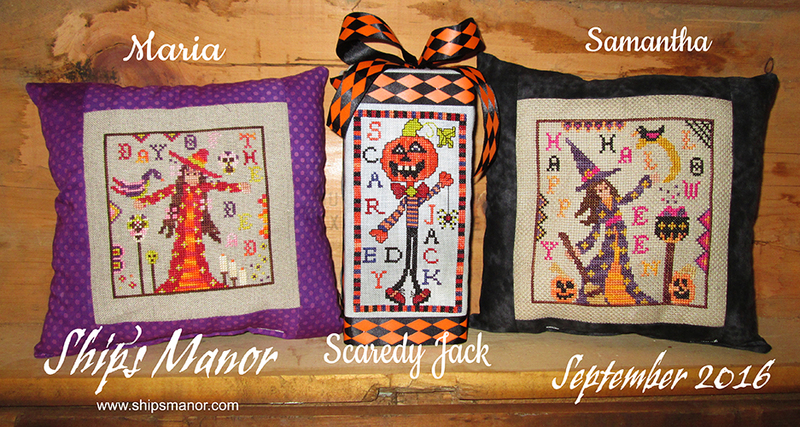 Look for them under the Every Day Girls tab under ‘Patterns” and Scaredy Jack is in the ‘Fall and Halloween’ Section. You can order the PDF’s here ,and thread packs, or get a hard copy from your local needlework shop. ← The Witches are invading Etsy!